We’ve recovered millions of dollars for our injured clients! Many truck accidents and motorcycle accidents result in pain and suffering that can last far beyond the moment of impact. After the initial trauma, everything from serious personal injuries to insurance claims on your totaled vehicle can leave you scared, stressed and uncertain about the future. The experiencedtruck accident attorneys at Elder Brinkman Law understand that you don’t deserve to endure any additional physical, emotional or financial burdens after an accident caused by another person. 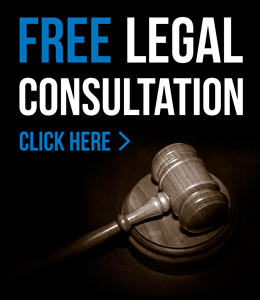 Confident and effective legal representation can make all the difference when it comes to covering your medical bills, car payments or pain and suffering in the wake of a serious accident involving a truck. Everyone from the person who caused the accident to your own insurance company will seem like they are working against you when it comes to reaching a settlement. In addition, many truck accidents involve litigation against the large corporation or small business that owned the truck. Motorcycle accidents often result in death and life-threatening injuries. Thankfully, our reliable legal team has made its name by understanding and overcoming these obstacles. Immediately following an accident involving a truck or motorcycle, a number of crucial steps can stack the odds in your favor. Refrain from acting aggressively with the other party, and do not say anything that could be mistaken for an admission of guilt — even so much as apologizing out of politeness could work against you in the settlement process. Stay calm, call the police, document what you can, exchange insurance information and contact the trustedtruck accident lawyers at Elder Brinkman Law to help guide you through the complex legal process of truck accident injuries. The aftermath of a serious truck or motorcycle accident often leaves you shaken; while the damage to your car or person also prevents you from fulfilling your regular duties. The negligence of another person should never decide your physical well being, so we fight to bring you justice and compensation in any auto accident case from beginning to end. For more information about thetruck accident attorneys at Elder Brinkman Law or to schedule afree initial consultation, pleasecontact us here or call us directly at 313.582.5800.